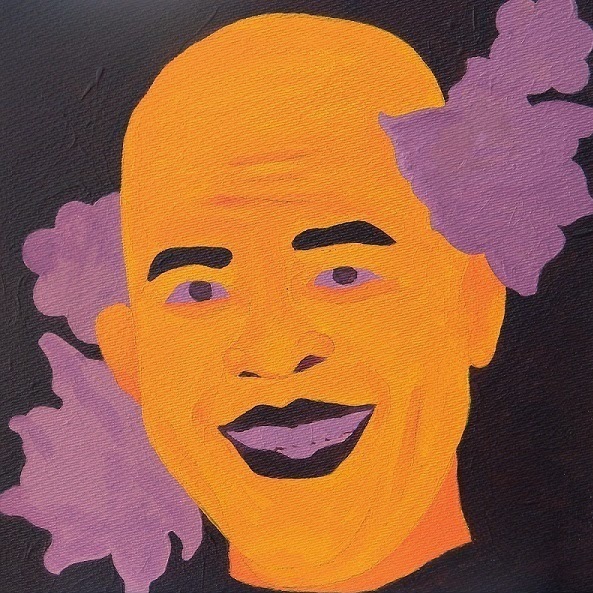 Since my first show in 2009, before Michel Martelly was president for real, Sweet Micky - his alter ego - has been present in my artwork. I first used lyrics from his songs, then in 2010 his Lyrics and his face, and as of august 2012, his face exclusively, in an on-going project that now counts 30 portraits. The president is an entertainer and I believe only in Haiti this qualifies you for politics at this level. Sweet Micky est mon président et je veux bien croire que seul en Haïti, sa capacité à se trémousser le qualifie pour un poste politique de ce niveau.